Natuzzi announced that completion of the transactions contemplated by the joint venture agreement between the Company and Kuka signed last 22nd March 2018, took place on 28th July 2018. 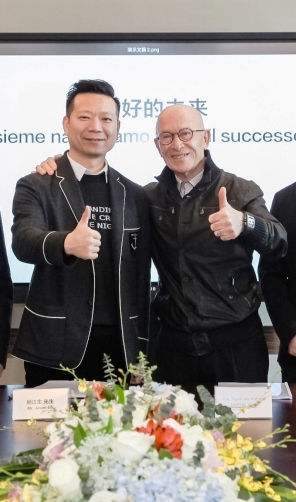 As a result of the Closing, the Company’s wholly-owned Chinese subsidiary, Natuzzi Trading (Shanghai) Co., Ltd. (“Trading Co.”) has become a joint venture in which each of the Company and Kuka now owns a 49% and a 51% stake, respectively. Kuka invested €65 million to acquire its stake in Trading Co. The aim of this partnership is to expand the Company’s retail network in Mainland China, Hong Kong and Macau (the “Territory”). Trading Co. will distribute the Natuzzi Italia and Natuzzi Editions branded products through a network of single-brand directly operated stores and franchised operated stores in the Territory, as well as through online stores.